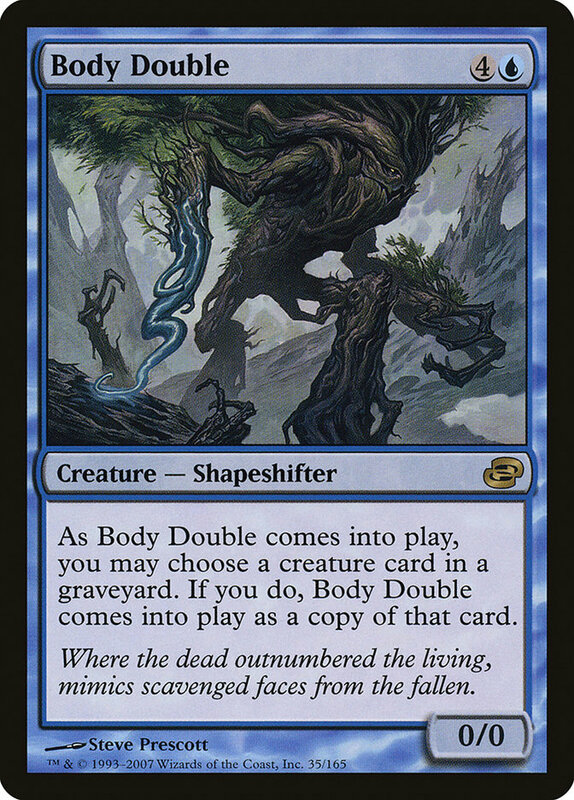 Card Text: As Body Double comes into play, you may choose a creature card in a graveyard. If you do, Body Double comes into play as a copy of that card. 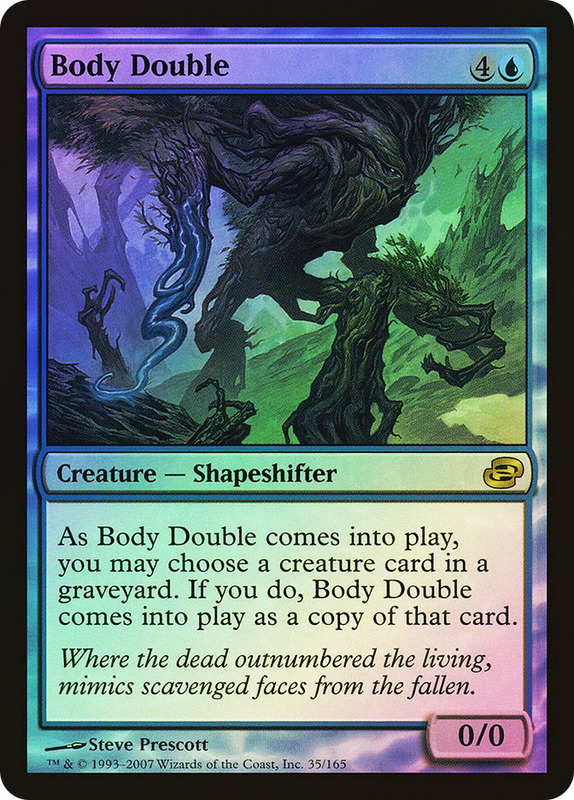 Oracle Text: You may have Body Double enter the battlefield as a copy of any creature card in a graveyard. Flavor Text: Where the dead outnumbered the living, mimics scavenged faces from the fallen.